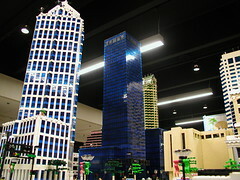 The Downtown Tampa Project is our rendition in LEGO® bricks of the various buildings located in the City of Tampa in the state of Florida. 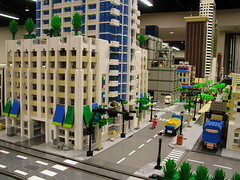 The city model is a group effort with many members taking on the construction of the various skyscrapers, building and structures. 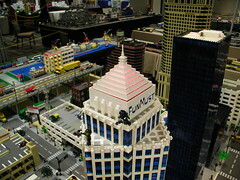 Most of the significant high-rise buildings have been built by our members, these include the classic Likes building now know as the Park Tower and the 100 North Tampa Street a.k.a. the Regions Building. 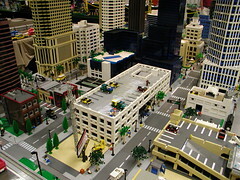 Some of the lesser know buildings and parking structures have been constructed too, like the municipal building next to city hall and the Whiting Street parking garage. This effort has been an ongoing project in the works since 2005, when the Bank of American and One City Center buildings were built by Robin and Aaron. Many more of the buildings are in the works and even more are being planned for construction. 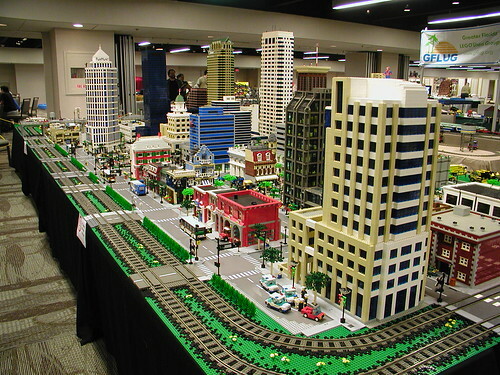 So be sure to check out our display at the many train show and event we display at throughout the upcoming years.